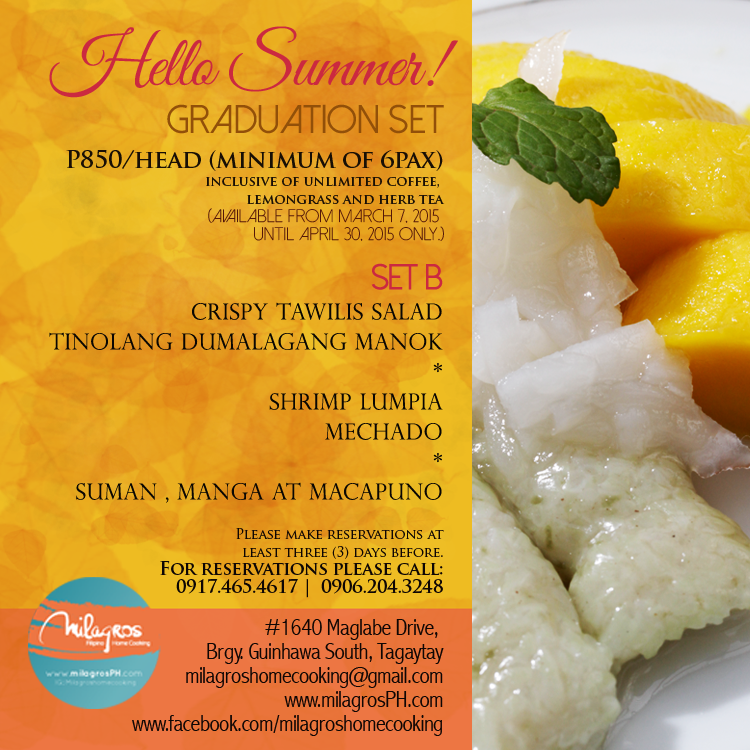 Celebrate graduation and Summer vacation with these special set menus! 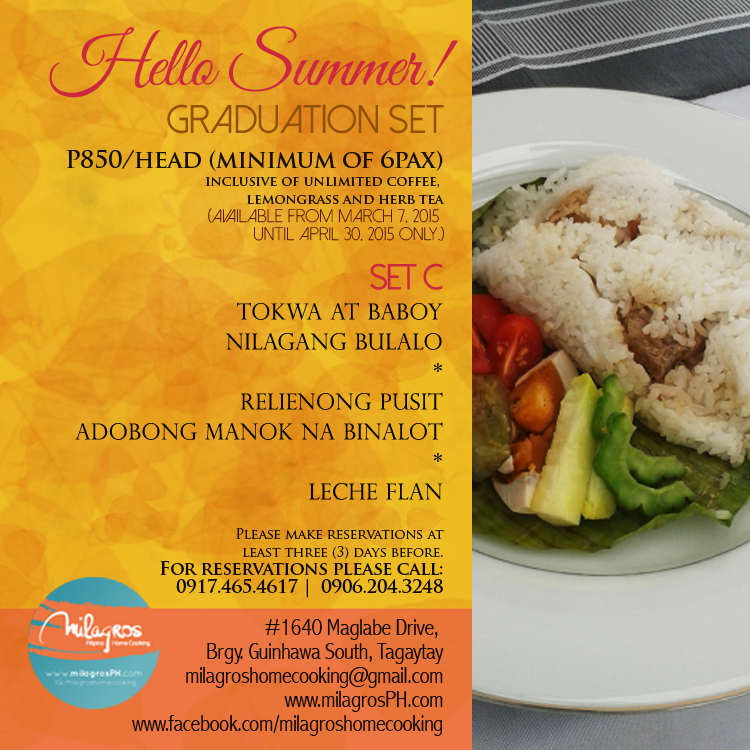 We’re offering these Special Set Menus from March 7, 2015 until April 30, 2015. 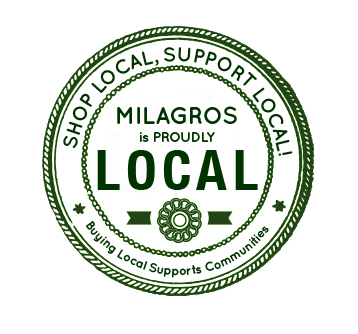 Enjoy a budget-friendly celebration with family and friends here in Milagros! This is available from March 7, 2015 until April 30, 2015 only. All set menus are inclusive of unlimited house drinks (water, iced lemongrass tea) and coffee/tea. Parties with a graduate gets a free cake! Please make your reservations at least three (3) days in advance. Due to limited seating we will only be seating a maximum of 16 people per meal, so please make your reservations ahead of time to ensure a spot at your preferred time and date. 1. 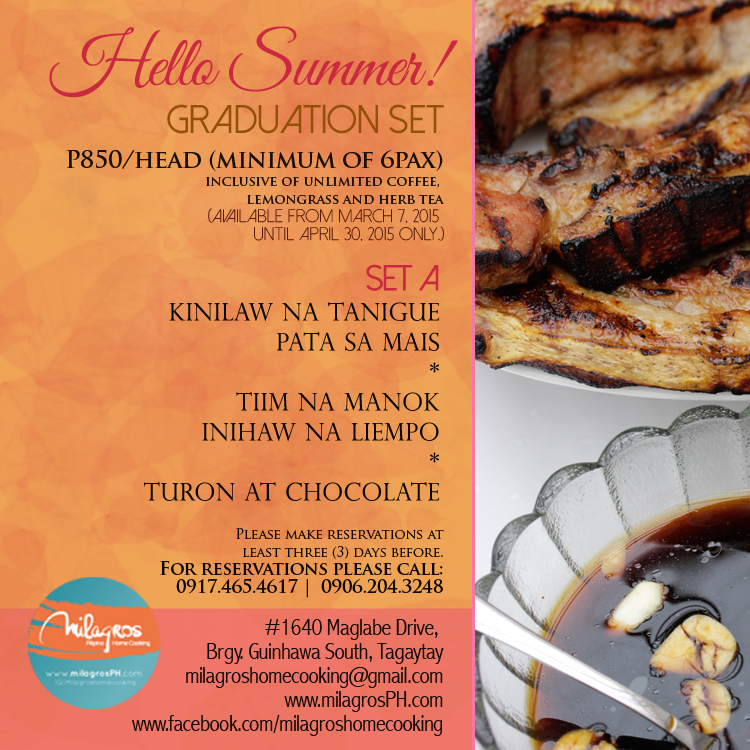 Please text/call us directly (0917.465.4617 / 0906.204.3248 ) or email us (milagroshomecooking@gmail.com) your name, contact number and reservation details (number of pax, time & day) to reserve your preferred time and day of dining. 3. Once deposited, please email a copy of the deposit slip to milagroshomecooking@gmail.com. We will confirm with you as soon as we have received the slip. Please note that the Reservation is not valid unless we receive the deposit slip.